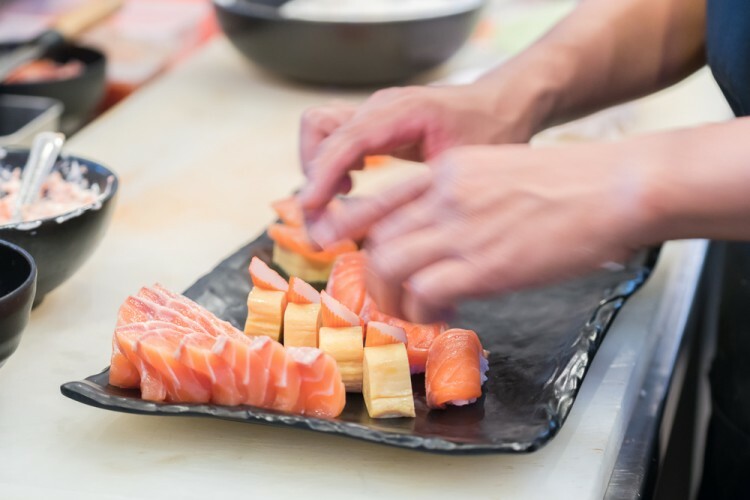 If you’re looking for a fun and hands-on night out, check out our list of 7 best sushi making classes in NJ. Sushi— the Japanese dish combining vinegar rice, seaweed, and a variety of toppings and/or fillings (namely raw fish, tofu, and vegetables)— is as much art as it is food. 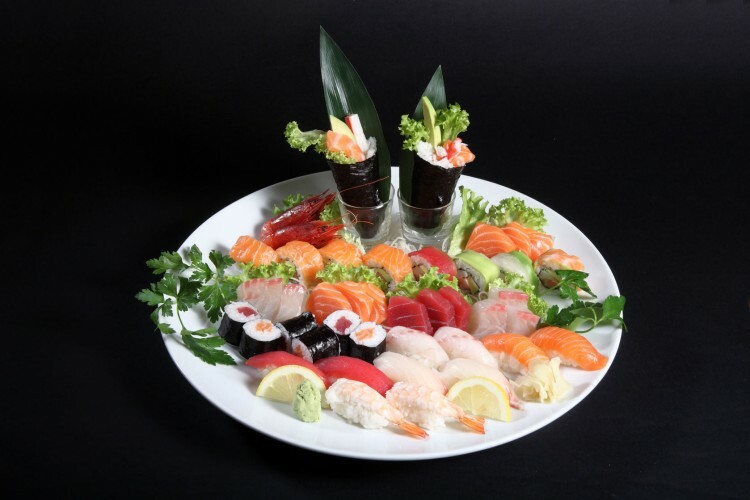 Nearly anyone can find a sushi dish that they will enjoy, whether they are a carnivore, vegan, fancy diner or casual diner. I personally love sushi. My favorite rolls generally involve sweet potato, tofu, or avocado. I am always astounded at how aesthetically pleasing the tiny rolls are, no matter what they may contain. The ability to make sushi is an ancient technical art; one that has been perfected over thousands of years by legendary sushi chefs in Japan, and now, around the world. If you would like to try your hand at crafting some seriously delicious and crowd-pleasing delights, you may want to try out one of these sushi making classes. In order to create our list of best sushi making classes in NJ, we scoured the internet to find all of the sushi making classes in New Jersey, then sorted them by price (in ascending order). If you’d rather stay closer to New York City, check out the best sushi making classes in NYC. Without further ado, here is our list of the 7 best sushi making classes in NJ. This class is a great way to spend some quality time with your kids, while also learning something fun together. Chef Diane Marino will teach your whole family how to create Sushi Rice, California Rolls, Spicy Tuna Rolls, and Tempura Bananas with Honey and Ice-Cream, among other things.